They say that breakfast is the most important meal of the day. While that’s not necessarily true, the fact is, you need to start your day with energy. Sometimes that means that you need to fill up your belly to make sure you can function! However, that’s the meal of the day that can take some time to prepare. And that’s not what you want when you’re all busy getting dressed up for work! 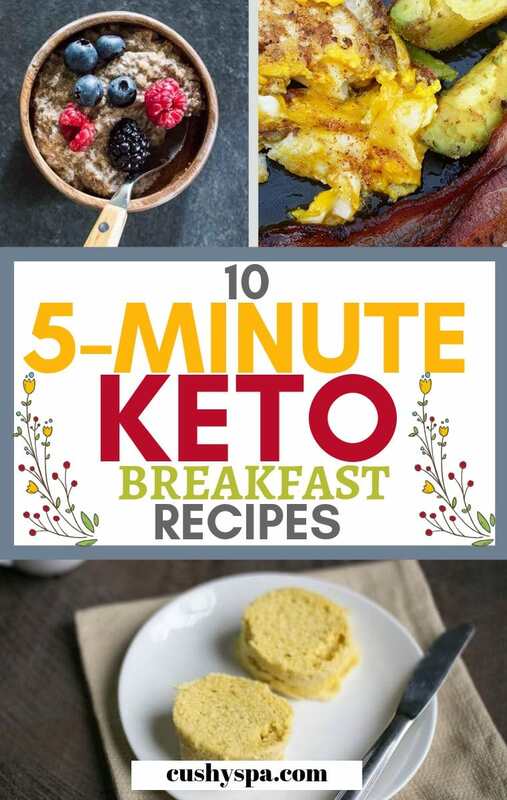 Today, I thought I’d share a few 5-minute (or under) keto breakfast ideas with recipes. These are great for last minute breakfast when you’re truly in a rush! And they’re low in carbs so you won’t ruin your diet! Depending on how you like your eggs, this breakfast will take you a different amount of time to make. If you like your eggs soft, you’ll be finished in 5 minutes. A quick tip – boil the water in the kettle first, so that you don’t have to wait for ages until the starts boiling in the saucepan. This usually saves me loads of time! 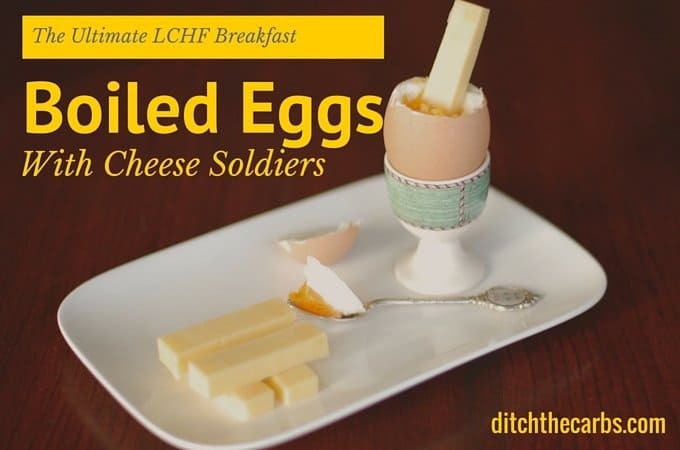 Have your egg with a little bit of cheddar, the mature one tastes the best. And don’t be afraid to add a little bit of salt and pepper to the egg. Fried eggs are very easy to make. It takes you literally 5 minutes if not less to get them on your table. If you’re a fan of spices or Indian cuisine, you can sprinkle a little bit of curry powder over them. Also, any sort of spice that you use for chicken, makes your eggs taste amazing! Rocket salad is delicious with the eggs too. I’ve personally been loving having some peas with eggs. The flavors of these two work so well together! 100g of peas has around 9g of net carbs. So, have that in mind. If you are a fan of avocados, you want to try this little recipe. 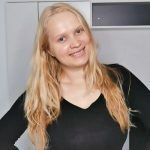 I’ve tried it myself and posted the recipe with the whole keto meal plan on this blog. All you need is to get an avocado, cut it in half and take out the seed. Then, fry the eggs with either butter or oil. You could make scrambled egg too but I feel like that takes much more time. 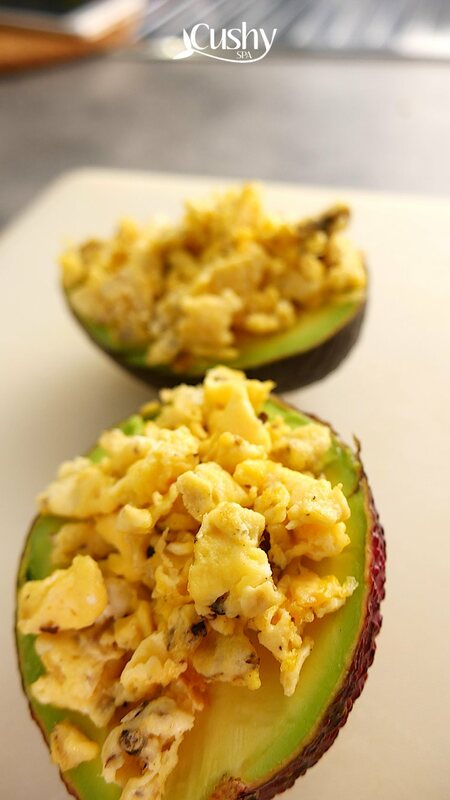 Add salt, pepper and put the egg contents on the avocados. Eat it with a spoon. It’s delicious! That’s exactly the name of this recipe. I don’t know exactly why but the products in this recipe are absolutely amazing. 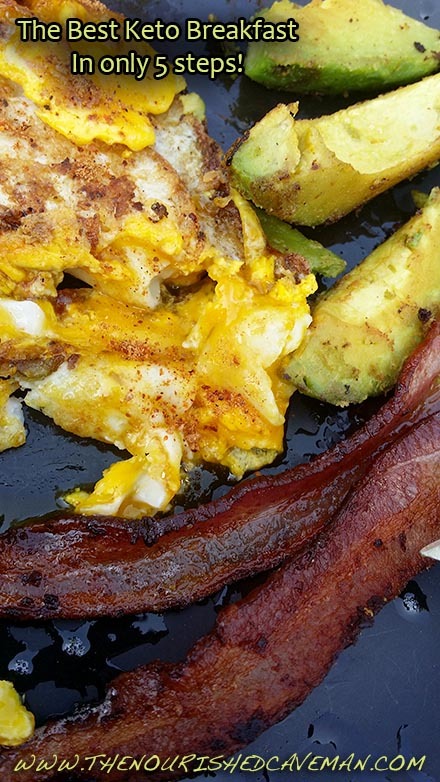 Fry bacon with avocados, add a little bit of salt and pepper. Then break an egg and let it all fry up. Simple and yet tastes absolutely delicious! While a lot of smoothies are higher in carbs, the recipes can always be adjusted to suit your carb intake. And I’m sure there are many of you who love to drink a smoothie here and there. 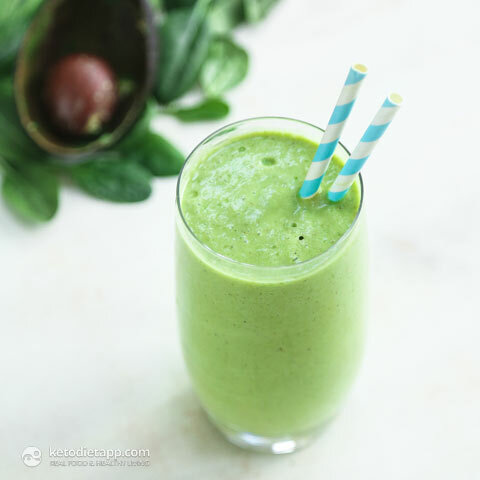 This one is very low in carbs for a smoothie and tastes simply delicious. 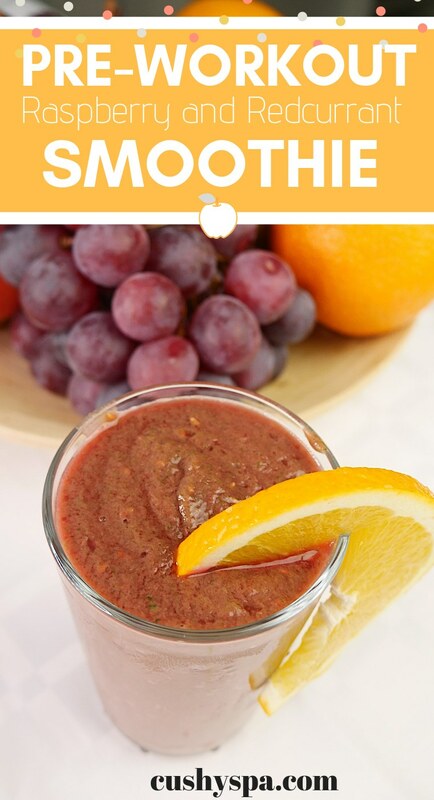 Like all smoothies, it’s easy to make too. Just drop everything into the blender and you’ll have your drink in a couple of minutes. Now, this raspberry and redcurrant smoothie is higher in carbs. 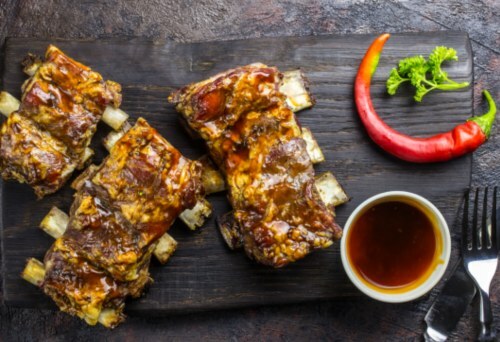 So, it might not necessarily work for you if you’re on a strict keto diet. However, it’s naturally very sweet and acidic. And on the days when you’re craving the carbs the most, this is the breakfast you want to have. It’s also very high in vitamin C, so if you’re feeling like you’re getting ill, it is indeed a good breakfast to have. It’s very high in fibers too – around 15g of it in a glass, so it can set up your digestive system for the day. 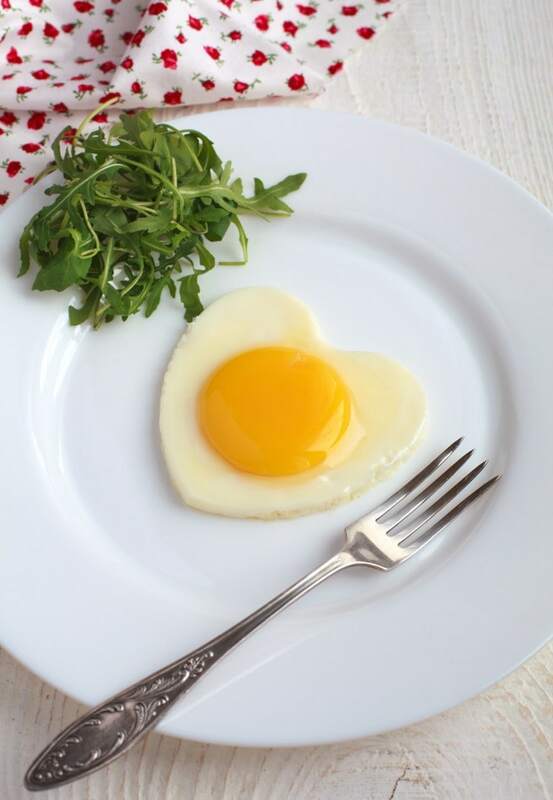 Let‘s be honest, we all get tired of eating eggs all the time. So, having something different can truly save you from exhaustion! When I found this recipe, I thought it was genius! I mean I loved eating oatmeal back in my days, now that I stay on a low carb diet, it‘s not really an option. If you have similar experiences, then try this recipe. It‘s low in net carbs, it‘s absolutely delicious and so easy and fast to make! Having a sandwich for breakfast is one of the fastest things you can do. Sandwiches taste amazing with tea. Also, you can have it with a cup of coffee and fuel yourself with energy for the day. The only problem – most bread is high in carbs. 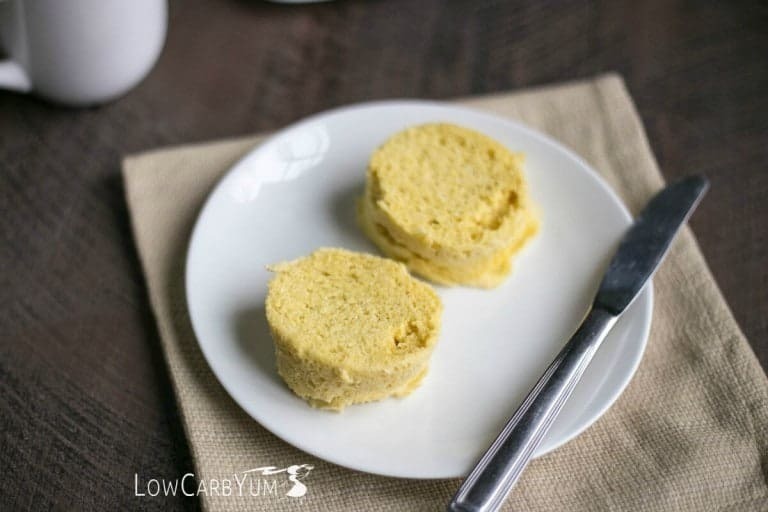 However, you can definitely try this keto bread. It takes only 2-3 minutes to make. 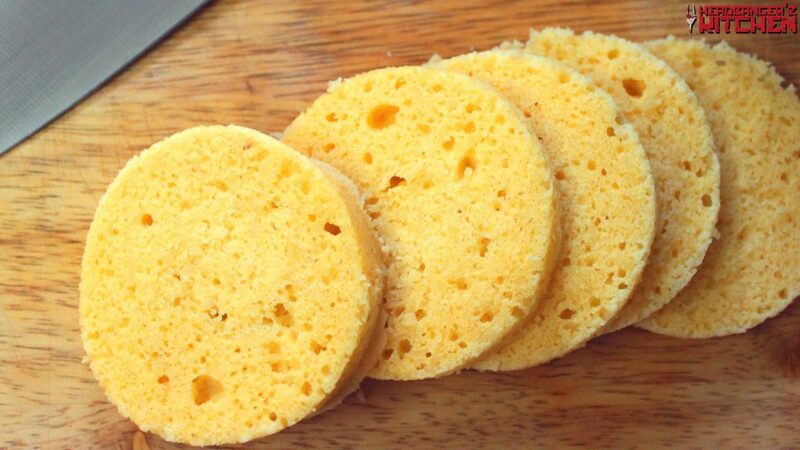 All you have to do mix almond flour with butter, baking powder, and eggs. Put it into the microwave and let it bake for 90 seconds. Done! It‘s a great bread to eat. You can add a few spices, salt or even some herbs to make it taste really good. Then, just add your meats and veggies. Simple, easy and nutritious! This is a slightly different recipe if you want to have a muffin with a little bit of butter. 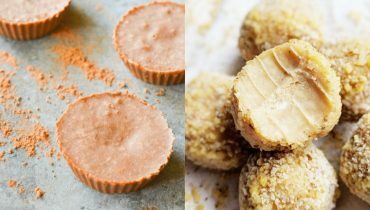 The difference is that you use coconut flour with almond flour. And, instead of butter, you can go for avocado oil. This mug muffin takes 2 minutes to make. However, you can take it to a whole new level with a little bit of sweetener and butter. My own suggestion, make the muffin, add a little bit of sweetener to the whole recipe. Once it‘s ready, spread some butter over it and have it with tea! 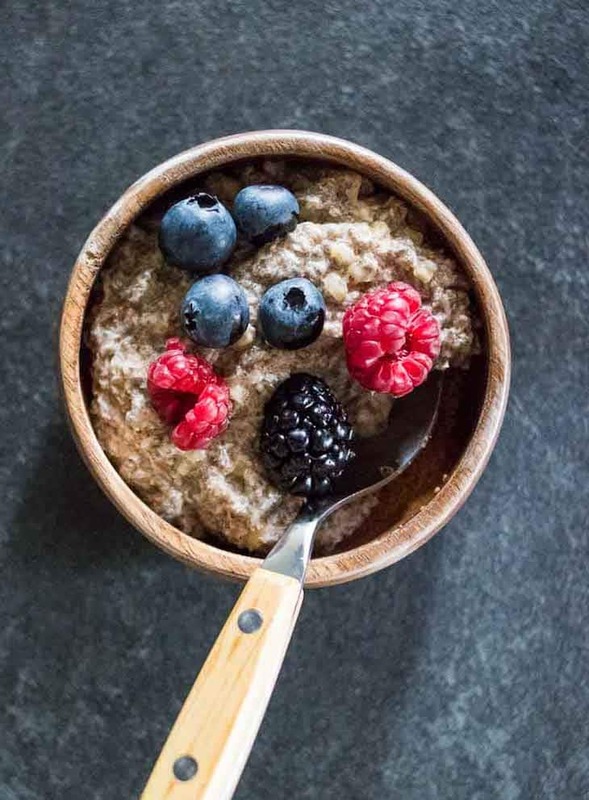 It‘s a nice little sweet breakfast recipe for a change! Microwavable breakfast can be a life savior. Easy to make and absolutely delicious. 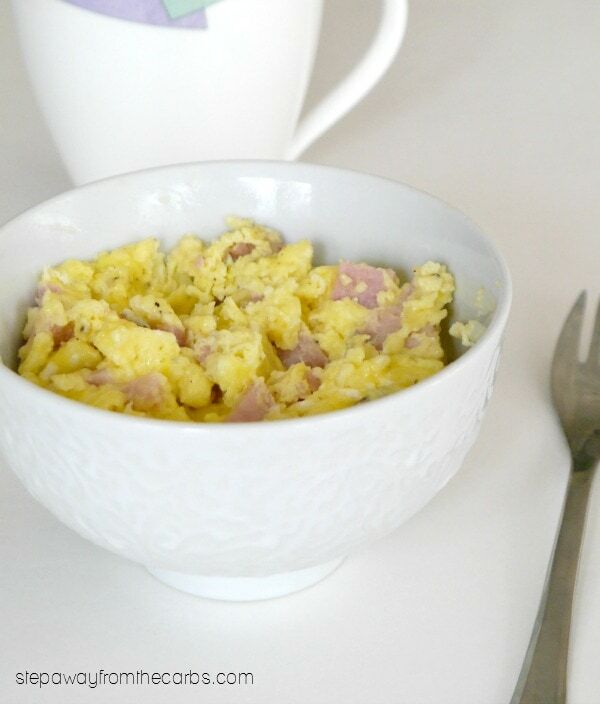 Whip the eggs, cut ham into pieces and get a little bit of shredded cheese. Add some salt, pepper and mix it all very well. Then, just put the bowl into the microwave, cook it for 1 minute, then give it a swirl, and leave it in the microwave for another 30 seconds. 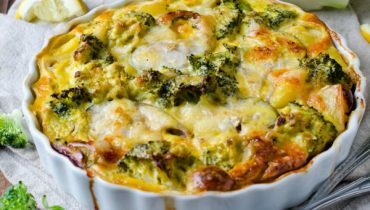 I hope you‘ve enjoyed these quick keto breakfast recipes! Let me know if you try any of them. Also, do remember that the more you practice a recipe, the quicker you‘ll become at making your breakfast. So, they‘re worth trying multiple times!